Panel to take up TIF grant for Edgewater project Reviewed by Edgeville Buzz on July 8, 2008 . 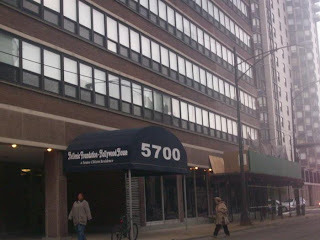 A recent article in Crain’s Chicago regarding the Hollywood House senior apartments at 5700 N Sheridan. A non-profit group is planning to acquire and renovate the 197-unit complex and is looking to the city for a $9.9M subsidy. Condominium developers had approached the property’s current owner, the Hellenic Foundation, about buying the building and converting it into condos. But the city stepped in and formed a TIF district primarily to raise money to pay for an overhaul of Hollywood House and preserve it as senior housing. A city panel is to consider the proposal at a meeting this afternoon.